Exporter of a wide range of products which include scaffolding net. This Scaffolding Net is made of HDPE and knitted. This net is fixed vertically on high storey building to prevent fall of debris, tools etc on vehicles, pedestrians etc. 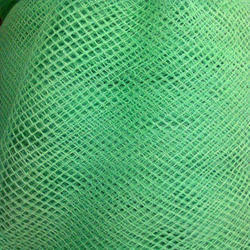 Looking for Construction Site Nets ?